More of us are shopping at Poundland than ever before. 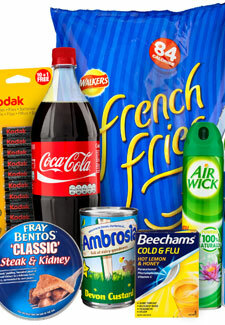 It’s a brilliant way to stock up on your favourite brands and save money. Not tried it? Find your local store by going to Poundland and next time you are doing your weekly shop, swing by and pick up some of your most loved and used products. There are currently over 3,000 major brand items stocked in Poundland and with the recent positive feedback from their ‘Weekly Essentials Challenge’, which saw them comparing brand prices against large supermarkets, there’s no doubt they’ll be even more brands added to the list. Happy shopping!